I’d always wanted to learn how to etch glass but assumed it was difficult, taking all kinds of funky chemicals and a lot of time. Silly me. 5 minutes. That’s how long it took me. After my first one I proceeded to search the house looking for things I could etch designs onto. It’s a bit addicting. It does require etching cream and sticky type stencils. A small bottle of the etching cream lasts a long time. If you have a cutting machine, such as Silhouette, you can make your own stencils, which is what I did. (Hint: Grab your etching cream at Michael’s or Hobby Lobby using a 40% coupon.) FYI You can grab the free sketching images below. 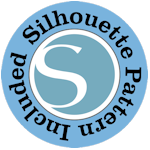 There is a pdf version and a Silhouette cutter version. 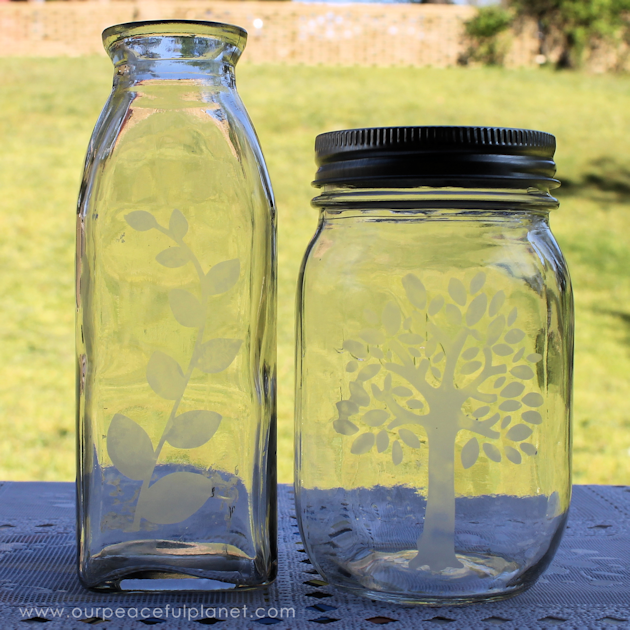 One fun use for etching is to decorate up your own personal glass water bottles. 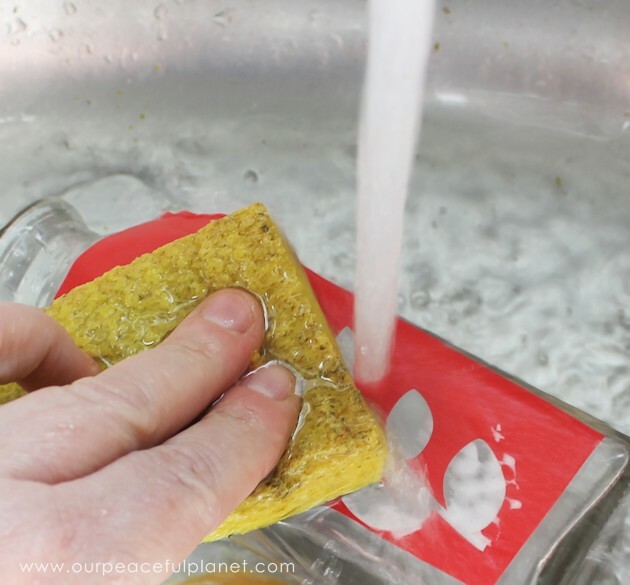 You can also learn Why Glass Water Bottles are Better! The stencil is adhesive vinyl I cut myself on my Silhouette machine. You can purchase all types of designs. Carefully adhere your stencil /label to your object. Apply the etching cream over the open parts. You don’t want it too thin. Be very careful not to get the cream on your skin. 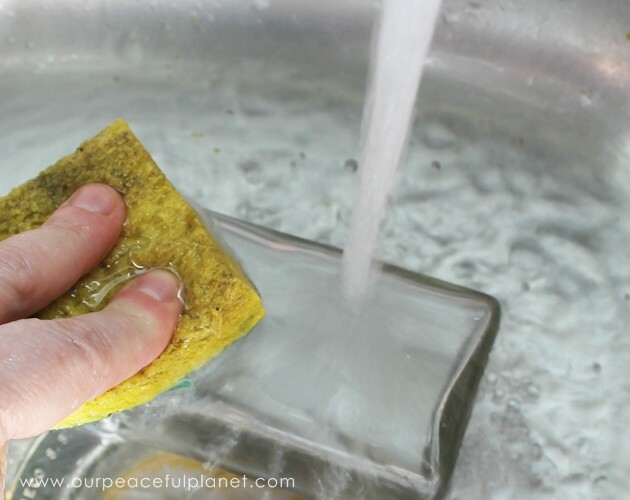 Wash your brush with water when done. You can let it sit from 2 to 3 minutes according to the directions, though the time can vary. I did 5 minutes. After that time rinse off the cream. Rub the remaining cream off with a sponge. Remove the stencil and give it a final cleaning. NOTE: You won’t be able to see the etching well until the glass is dry. That’s it! Hi Nancy. I have wanted to do this for a long time. Thank you so much for your great tips. 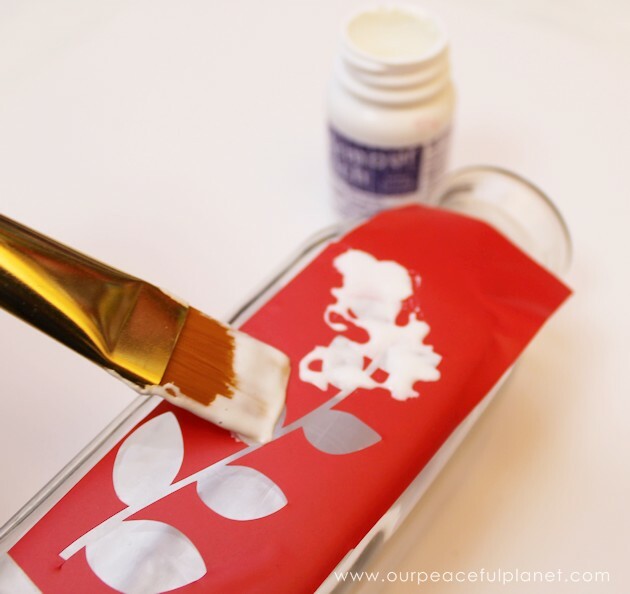 Would you be able to use that cheaper contact paper for stencils? You know, the kind you use in cupboards and draws? Thanks again! Hi Tammy! I would think that would work fine. I used sticky back vinyl from my cutting machine to make mine which is similar. You might want to do a test run on a jar you don’t want though, just to be sure. Ü Good luck! I think I found a new passion I can do, and I praise God for the instruction from you. So CLEAR………..I think it would also be a great thing for disabled or autistic children and whoever else that wants to be creating something. I pray God uses this to open other’s passions…………………in FIVE minutes……………………………..Wonderful timing for children especially developing their skills. I’m so glad you found it helpful Regina! I have also discovered that if you use the back of a plastic spoon in circular motions you get no brush strokes. I stopped at your page by chance as i was browsing through pinterest. Never knew etching could be so simple. Would love to try it out, unfortunately I dont think the sticky vinyl or etching cream is available in my place. Will definitely find out at the local art supplies store. If not you can get it on Amazon… if that’s an option. Ü Good luck Zar! My dear crafty ladies don’t forget to download your 40% off coupons from Hobby Lobby, Joans or Michaels before you get the etching cream, can be pricey! These are simply lovely. Exactly what I wanted to know to make some solar lites with my Starbucks bottles for my daughter & son in laws new home . Perfect just absolutely parfect! Thank you so much. Can’t wait to get started! I love ❤️ these. Glad you found it helpful Patty. Good luck on your project and thanks so much for stopping by! Tried this on some glass ornaments with two friends and it didn’t work for any of us. We even left it on for 15 minutes. They all came out blotchy, streaky and much of the area still clear. Do you think it was the type of glass? We were really disappointed. We used Armour Etching Cream. Hi Gail! Wow… I have no idea what would cause that unless it was indeed not completely a glass item. I’ve never had it do that. But I’ve only done it on bottles and jars. I’d suggest doing a test of the same thing on an old mayo jar or something like that. Just do a small stencil as the instructions say. If that turns out well then you’ll know it was most likely something in the glass. Not all glass is created equal. I have etched on glass made from many different manufacturers. Newer Pyrex is the only one that has given me problems. I guess thier glass is too high of quality. 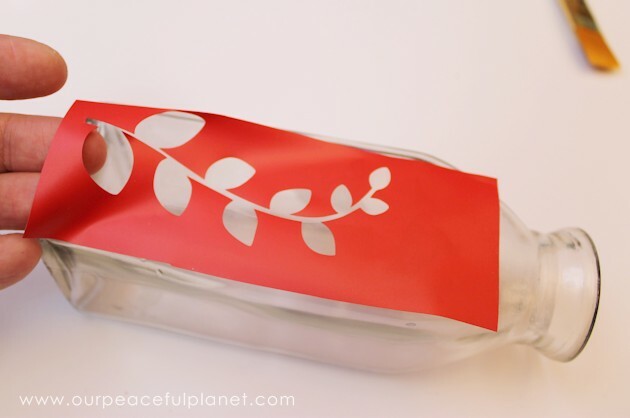 What do you use to keep your stencil in place on glass? 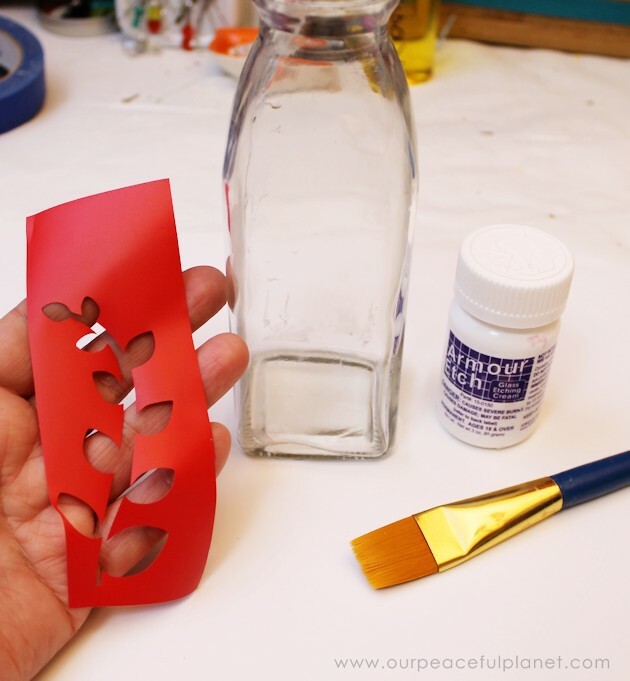 I have used a craft spray adhesive but after a few uses it builds up and is difficult to remove the adhesive from the stencil. Also, where can I purchase stencils that are of various sizes, like 2″ x 10″? Can’t find them anywhere in store or online. Thanks for your help. Thank you so much Nancy, I really appreciate your input. Don’t wash it down the drain. Scrape off as much as you can BEFORE rinsing and reuse the cream! Didn’t know you could do that. Ü If so its a good idea! Thank u great info. But what type of etching cream do u use? I use Armour Etch. Its linked to it under the Supplies list. It works great and a small bottle goes a looong way. Thanks for stopping by! Wow, looks great and fun! Can you use a regular stencil or does it have to be a sticky one? I have many and would like to use what I have. Thanks Mary! It needs to be the sticky kind I’m afraid. The right kind is like thin vinyl. There’s just no way to get a regular to keep the etching cream from going under it. I know what you mean… I had regular labels I wanted to use too! 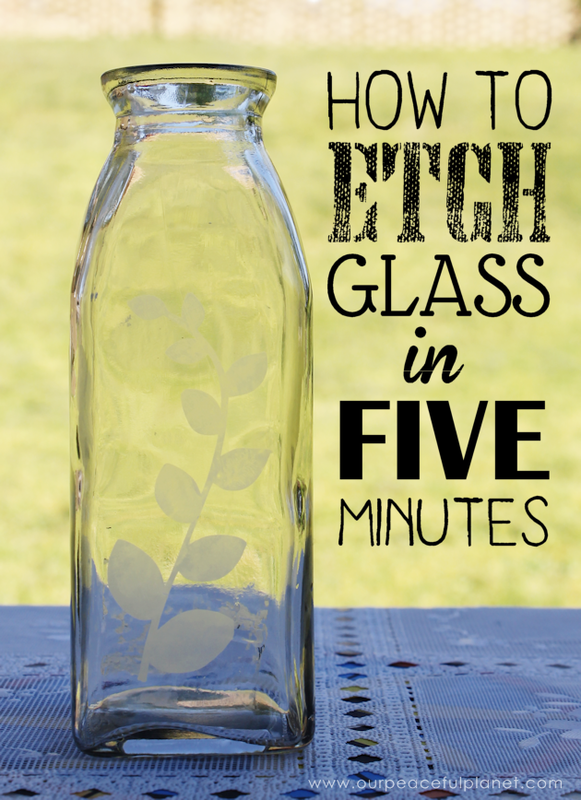 Wow, I always thought that etching glass would be a difficult process too. Never thought to actually look into it. Thanks for the easy tutorial! You bet Jen. Thanks so much! Appreciate you stopping by Taylor! Appreciate you stopping by AnnMarie! cute, simple idea! Thanks for sharing. My grandmother works for a stained glass company, and amidst all the glass supplies is armor etch! I haven’t etched any glass in years, but I am definitely going to pick some up! It’s so addicting!! I’d love for you to share this at my weekly link party!! Thanks so much Ashleigh. Appreciate you stopping by! Great tutorial and great that it’s so easy – my kind of projects! Visiting from Happiness is Homemade party. Pingback: Great Ideas -- 15 Teacher Appreciation Projects! I love this! 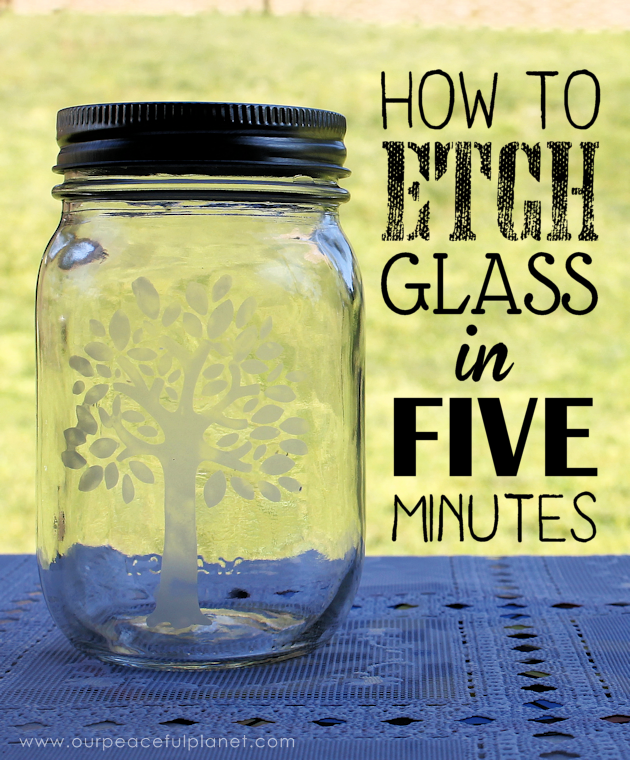 So easy, I can think of so many things to etch! Thanks for the tutorial! You’re so welcome Tina. Thanks for stopping by! This is such a great tip! I love how easy it is and how I don’t need anything fancy! Thanks for stopping by Morgan! So cool! I’ve always wanted to try this! Found you at SITS, awesome! 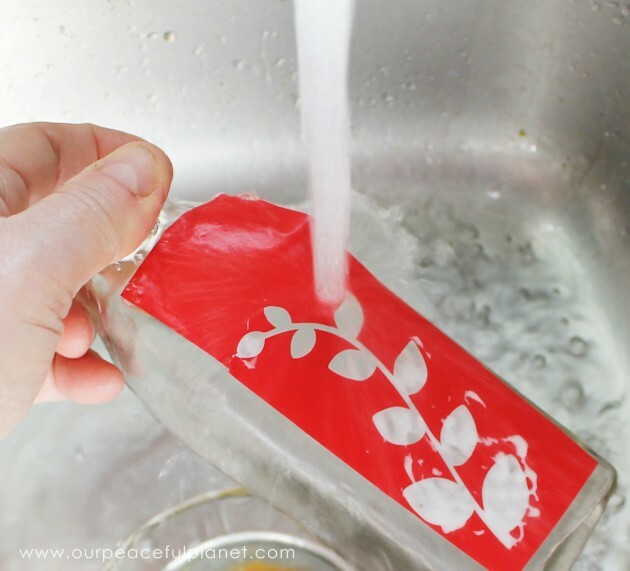 Etching always seemed so intimidating – I had NO idea it was this easy! Yours turned out so beautifully. I am definitely going to try this now. Thanks for sharing 🙂 Pinning! Glad to inspire you Jelica. Thanks for stopping by! Thank you for sharing this. Like you, I like etched glass, but I thought it would be really difficult. I will be on my way to the craft store soon to get supplies to try this out! Thanks Teresa! I think you’ll enjoy it! Would you believe I had no idea there was such a product as etching cream?! These would make great gifts and so easy, too! I wasn’t aware of how to do it either. Once I learned how simple it is I had a ball doing it! Thanks for stopping by Emma!